Born and raised in Winnipeg, Canada, Andrew Kyrzyk has been a part of the entertainment industry since the age of 5. He is a professional dancer, choreographer & teacher who has extensively trained in ballet, contemporary, jazz, modern, hip hop, jazz funk, tap, ballroom, and musical theatre. As a dancer, his versatility has won him numerous awards in Canada and the United States. 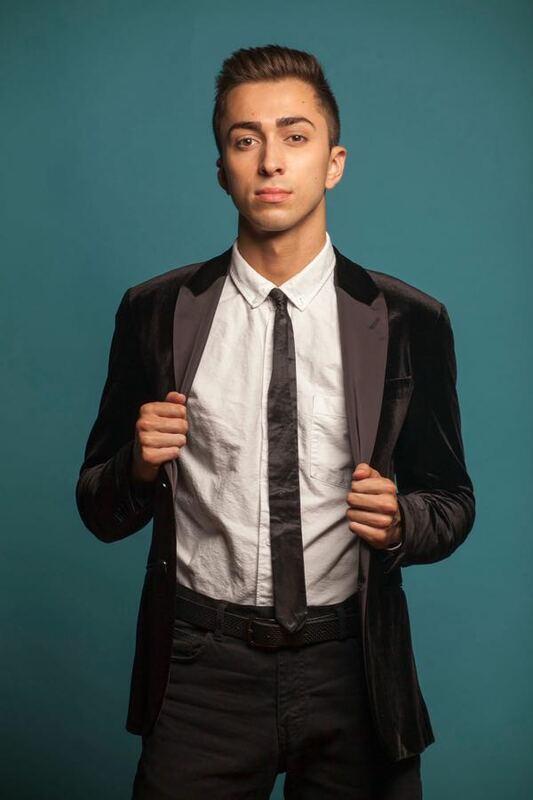 He has danced for pop artists such as Meghan Trainor, Shawn Mendes, Deborah Cox, Capital Cities & Serena Ryder. He has performed in numerous commercials and events for Cineplex, MAC Cosmetics, Sephora, L’Oréal, Pan Am Games and World Pride to name a few. You can see Andrew on TV Networks such as The Family Channel, Disney, YTV, CTV, MUCH, MTV, FX, STARZ, & Space TV. Most recently, Andrew was a lead dancer in Disney’s ZOMBIES which aired on the Disney Channel. Although film is his forté, he never stays off the stage for too long. He’s danced in musicals such as Dance Legends, CATS and “Dancer” a musical choreographed by Stacey Tookey. Alongside Andrew’s dance career he has begun his journey as a choreographer and teacher. He travels across Canada teaching workshops, intensives, and master classes. He has choreographed pieces for Team Canada, various music videos and several award-winning competitive routines. You can see Andrew’s choreography on the Family Channel hit TV show “Backstage” where he worked as the associate choreographer alongside JJ Moore. Andrew loves to share his passion and knowledge with fellow dancers and students and is continuously thriving for new experiences.